What's better than maintaining the freshness of delicious snacks? Maintaining the freshness of delicious snacks with a totally cute monkey. 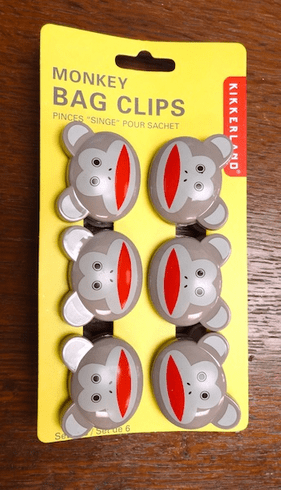 But that's not all: These can pretty much be clipped to everything so go ahead and clamp a monkey face onto your lapel and hit the town. Each set comes with 6 clips. Ages 3+.